Nice, J.P. 108 East 37th Street in Murry Hill, Manhattan. 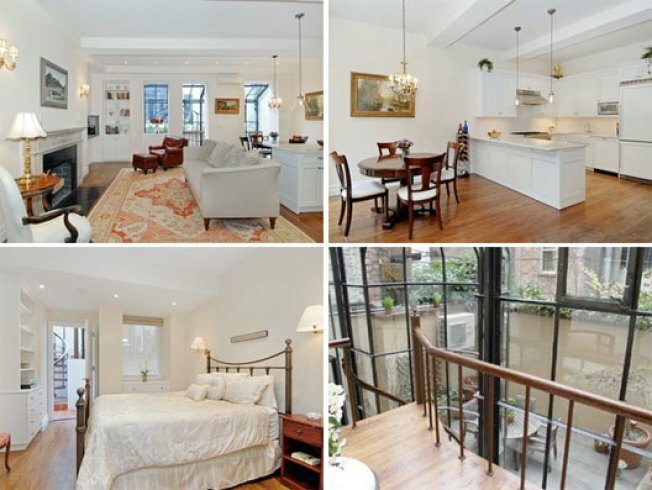 According to the listing, the townhouse that includes this duplex at 108 East 37th Street was originally built by J.P. Morgan for his granddaughter. A more recent renovation added goodies like computer network pre-wiring, radiant floor heating, and all kinds of stainless steel in the kitchen. (Or else J.P. had a top-of-the-line time machine.) Plus, nice atrium! This place last sold in 2006 for $1.349 million. Will the renovation be enough to get it up to the new ask of $1,675,000?